Cost: Competitive costing is our number 1 priority. 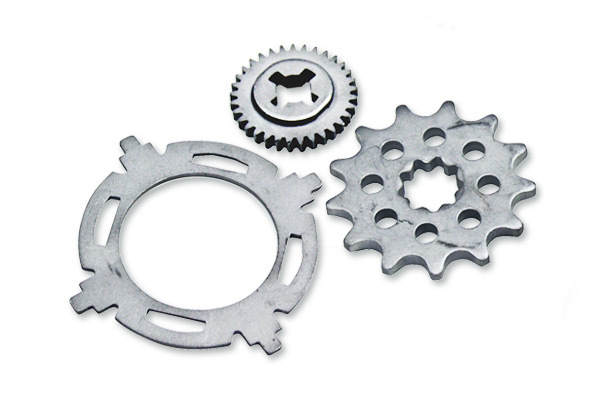 Quality: We are ISO/TS 16949:2009 and ISO 9001:2008 certified. Lead Time: We understand that on-time delivery is crucial to our customers' success. Technology: By re-investing in our plant and machinery we ensure our capabilities remain globally competitive. 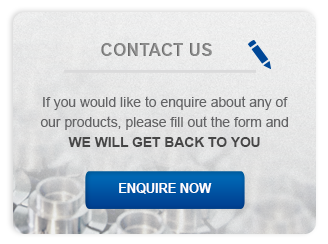 Industries we supply to: Automotive, mechanical engineering, mining, electrical, defence, medical, aviation, etc. 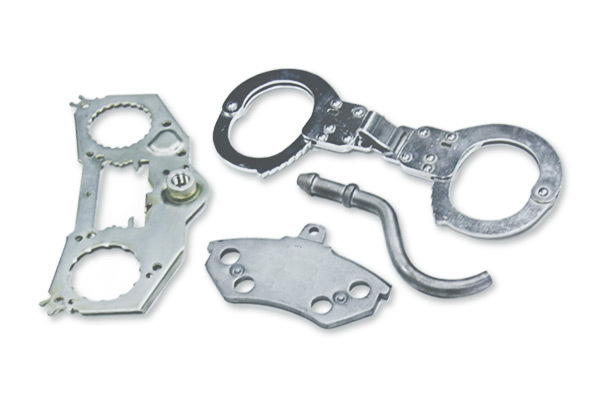 Fine blanking presses are similar to other metal stamping presses, but they have a few critical additional parts. 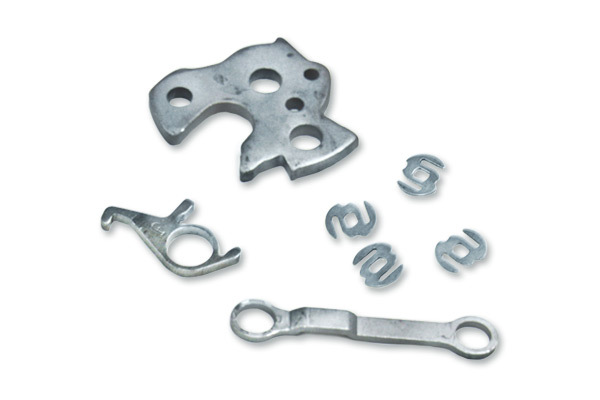 A typical compound fine blanking press includes a hardened die punch (male), the hardened blanking die (female), and a guide plate of similar shape/size to the blanking die. 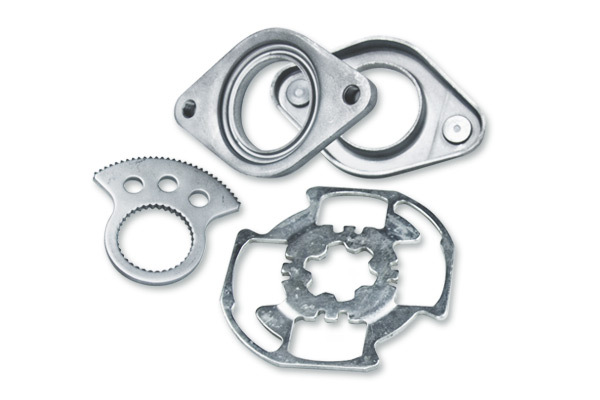 The guide plate is the first applied to the material, impinging the material with a sharp protrusion or stinger around the perimeter of the die opening. Next a counter pressure is applied opposite the punch, and finally the die punch forces the material through the die opening. 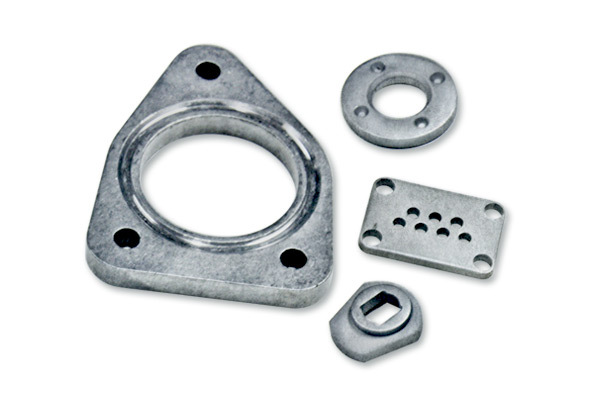 Since the guide plate holds the material so tightly, and since the counter pressure is applied, the material is cut in a manner more like extrusion than typical punching. Mechanical properties of the cut benefit similarly with a hardened layer at the cut edge of the part. Because the material is so tightly held and controlled in this setup, part flatness remains very true, distortion is nearly eliminated, and edge burr is minimal. Fine Blanking (Pty) Limited has several fine blanking presses ranging from 63 Ton to 400 Ton.